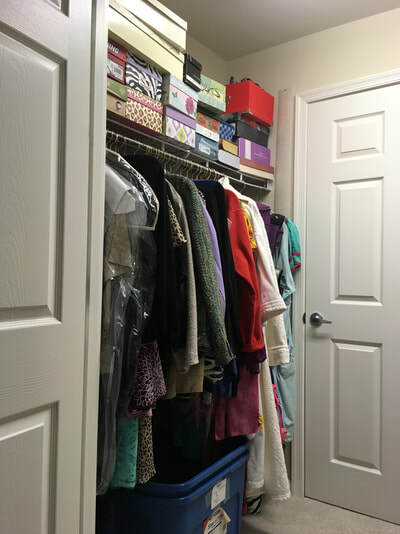 Check out some of our Before and After shots to see how The Closet Magician can help organize your New Home. Problem: Shannon had been living out of suitcases and boxes for three months. As a busy single mom with a demanding job she simply couldn’t find the time and energy to set up her closet and dresser drawers. 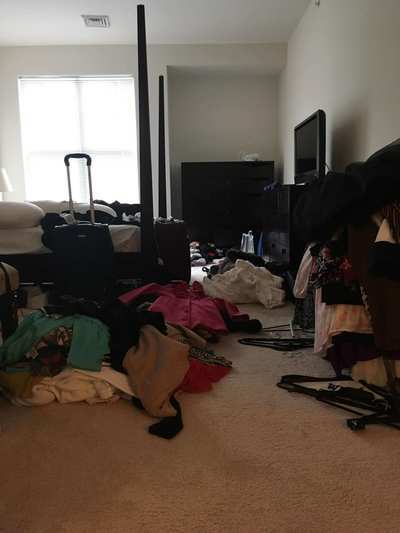 Solution: Bobbie emptied the suitcases and boxes and set up Shannon's closet, and dresser. Shannon hired Bobbie the next week to do her office. ​Result: No more boxes or suitcases cluttering up the bedroom or office. Testimonial: "I felt very safe and comfortable with Bobbie being in my personal space. I am relieved because I now have a sense of order and feel settled." Result: After everything was stored Dolores and Bobbie hung the prints on the walls and Dotty was truly settled. 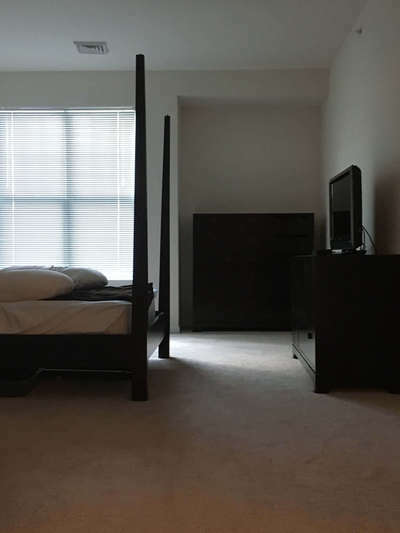 Testimonial: "There wasn't anything on the walls so my apartment felt "empty." I feel like I live here now and can't wait to have friends over. I asked Bobbie to come back a few months later because I brought more than would fit into my kitchen. It was a pleasure to work with her again." 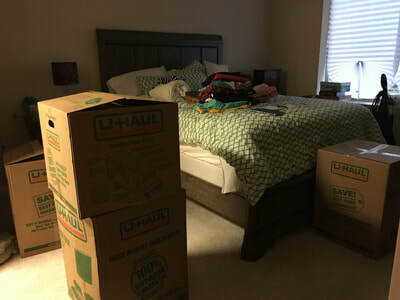 Problem: Meredith knew she had brought more than would fit into her new apartment but was not ready to discard or donate as much as Bobbie suggested when they worked together to prepare her home for sale. 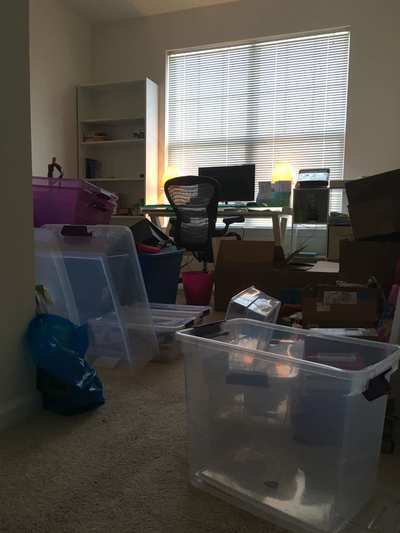 Solution: Bobbie helped her decide what additional items needed to be discarded or donated after the move. Still, it was a tight fit! Result: Meredith now feels settled and is ready to concentrate on making new friends in the retirement home. Testimonial: "I knew I was taking too much to my apartment. Bobbie told me I would need to discard more after I moved but didn't make me feel bad for not being ready to do it all at once."